As no doubt you are all aware, all rented properties (in England) now subject to The Smoke and Carbon Monoxide Alarm (England) Regulations 2015. This says that they need to have smoke alarms on every storey with living accommodation, and carbon monoxide alarms in every room which has a solid fuel burning combustion appliance. However reading and talking about these regulations to landlords and agents recently, has brought forth a number of real problems with their implementation. But what is meant by ‘checks’? Most people will just press the ‘test’ button. But it has been pointed out that, for the carbon monoxide alarms, this will just test the circuitry, not the sensor. The only way you can test the sensor – which apparently is the part of the unit most likely to fail anyway – is by injecting test gas, for example Detectagas, over the alarm. Does anyone ever do this? We are also told in the article that the sensors inside carbon monoxide alarms have very limited life spans. Presumably smoke alarms can also only really be properly tested if you check to see if they re-act to smoke. 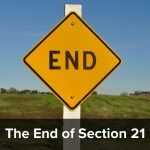 The government guide is silent on the question of how the checks should actually be carried out, although FAQ 21 appears to indicate that the landlord may have complied if the tenants sign the inventory to confirm that they are satisfied that the alarms are in working order. So in default of any other guidance, landlords and agents should aim to get that signature! There is also the fact that these alarms are to be tested on ‘the day the tenancy begins’. Not the day before. Not the day they sign the tenancy agreement. The day the tenancy begins. This will not be easy for agents where they have to check in large numbers on the same day. Often it will be impossible for them to comply. So we have uncertainty about the testing and an impossibly narrow window of time to carry out the checks. There has been a lot of criticism of the very short period of time between the passing of these regulations and their coming into force on 1 October 2015, which made it difficult for landlords to comply. I have also been told recently that there were actually not enough smoke and carbon monoxide alarms available in the country to enable to them to do so! I think we all agree that having these alarms in properties is a good idea. However making laws which are impossible to comply with is not going to help. Tessa has given a reasoned argument as to why it is difficult to comply with the new law. Can you please give your argument as to why you disagree? Reading this feels a bit like the fuss about paying 5p for a plastic bag in a supermarket. If the issue is purely about testing the alarms on the day the tenancy begins then to my mind that means to ensure and evidence in front of new tenants that e.g. you press your finger in the smoke alarm, it makes a noise, its working (or whatever is deemed the way to test the alarms) That seems straightforward enough to me. just get clarification and maybe request (if required) more technical testing is in order if that is allowed prior to the first day of the tenancy, then e.g. a signed form is shown to the tenant to show that both devices were tested on whatever date THEN a simple push button test is done in front of the tenant. Honestly, I can’t help thinking only in the UK would such a fuss be made about this. The Brits just seem to endlessly moan about the ridiculous. Just get clarification and think ultimately this is about the safety of your tenants. A little extra work for the landlord could be the difference between life and death literally of their tenant(s). I know which I’d prefer. Claire B, are you an agent or just a regular landlord? If you have one or even a few properties where the change over of tenants is relatively infrequent and you can focus all of your undivided attention for several days on the signing up of new tenants, then I’m sure these smoke alarm test will be straightforward enough. But I can tell you from experience that when I have half a dozen people signing up each day and every group of tenants having different circumstance (e.g. if they are moving to the area from away and as soon as they have signed the tenancy agreement and collected keys plan on heading 100 miles away to their old house where their removal van is booked), then it’s not always possible to test the alarms in front of them on the same day. I agree with the purpose of the legislation, but there should have been more clarity before it was passed and more flexibility in the carrying out of these checks. Just an experience to report; I have had a professional company recently service my fire alarm and detection system. As part of that they did indeed have some sort of pump thing which they pressed over the smoke alarms and tested. The carbon monoxide alarms I’ve just bought came with a 7 year guarantee. I suppose the new legislation is a “belt and braces” approach as my gas engineer says it’s “impossible” for a new boiler to kill someone with carbon monoxide?? 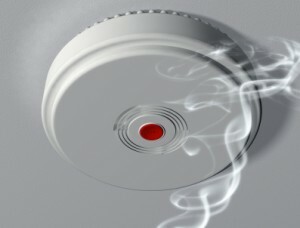 Our smoke alarms are checked for each new tenancy when the inventory is completed (where possible). We have a wired system in a large licensed HMO that doesn’t have test buttons on the smoke alarms. An annual smoke check is completed every year on all of these alarms and a certificate given as proof of this test. We have houses with very high ceilings so will have to resort to carrying a large set of ladders around with me if they have to be checked on the day. Strictly speaking one should not only test alarms on the first day of the tenancy but also replace any faulty alarms on that same day. Now, of course it is possible with good organisation but I would not trust the average letting agency employee or inventory clerk to be able to do it, so this means a handyman on call. There seems to be a lot of confusion in he blog and the posts between smoke alarms and carbon monoxide alarms. Whisch are we discussing? The other question I have is does the new law apply to gas boilers as it only mentions ‘solid fuel’ and North Sea Gas is not a solid fuel – trust me, I’m an engineer! The Carbon Monoxide Alarms only need to go in rooms which have a solid fuel burning combustion appliance. Its bonkers that this does not include gas and oil burners but that is the case. The post looks at both as they are both covered in the same set of regulations. Luk P – I’m not an agent or landlord – I’m actually a tenant in a private rental in UK. Yes, I can totally appreciate and empathise with your points if you’re having to deal with many properties at once and different logistics involved with each and the problems that might bring. For the minimal cost of smoke alarms and indeed a carbon monoxide alarm where the solid fuel fire is I personally, would have had those things in place prior to a tenancy commencing be it regulation/law or not – to protect the tenant but also to protect my property and also me against serious damage from fire or indeed serious health problems or worse, death of one of my tenants. I think sometimes when new legislation/laws come into effect folks have an absolute panic – but actually it probably doesn’t need to be such a big issue. What I’m saying is perhaps there’s ways around the logistical issues and perhaps some of that is about getting clarification from those that legislate in the first instance? @Claire – as I say in the post, we have guidance from the Gov’t but it does not cover the issue of what is a test! Its all very well for those of us who are not agents to pontificate about how easy it should be and how it just needs a bit of organisation, but if you are a letting agent faced with numerous new tenants coming in on the same day – for example for student lets at the start of term, this is going to be much easier said than done. Nobody (other than perhaps your landlord) is saying that there shouldn’t be smoke and CO2 alarms at all, its just the way the regulations are worded and the very narrow time frame for compliance. No do not piddle off, Tenants views are needed as well. I agree with you and i am a Landlord. Agents are paid a lot of money by landlords to do their job. So if they have to work harder or employ more staff to forfil their promises then so be it. As a Landlord I can have that situation too but i am glad when it happens. If the agent cannot cope with these changes then they should not be agents. Tessa – yes I can appreciate and empathise with your points as I wrote in my earlier reply to Luke P.
I’m quite sure my landlord isn’t the only person in the whole of the uk who has gripes about having to install smoke alarms as you suggest. There are some great landlords but also many who are just happy to take tenants money without following regulations/legalities etc. 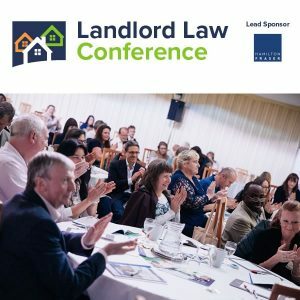 I’m not a lawyer like you – that said If I was a landlord i would be looking for/request clarification ASAP in relation to the specifics of my situation e.g. multiple tenancies/properties and the difficulties in installing and testing all alarms on the first date of every tenancy. Perhaps one size doesn’t fit all and that method may not be practical for all? if the folks writing the policy/legislation haven’t considered that then they’ll still be none the wiser if no one/group actually challenges it. Personally I don’t think I’d be freaking out or moaning about it or think the policy was lunacy. I’d just want to know more and ensure i was covering all my bases. It may simply be a case of the policy having been worded badly? 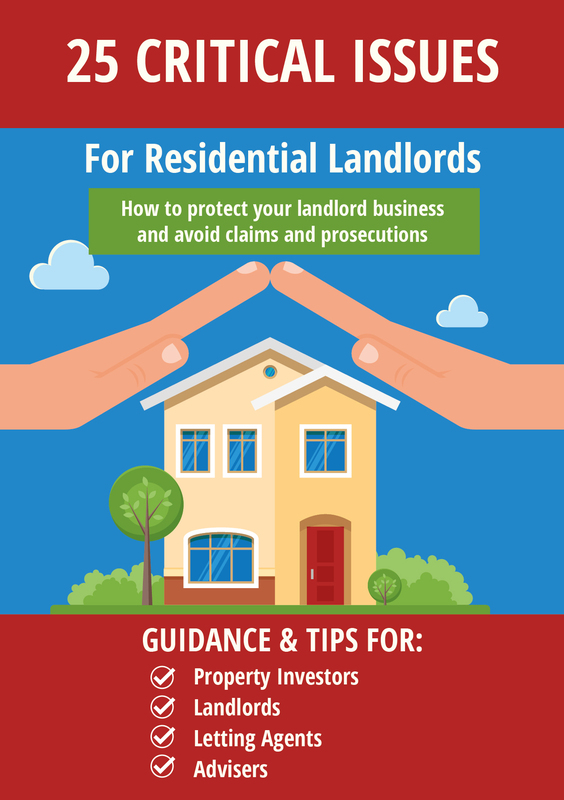 The Regulations purport to give guidance on which rented properties are exempt. however, these do not appear to be comprehensive – for example: the Regulations are silent on whether they apply to Protected Tenancies (ie a Regulated Tenancy registered under the Rent Act 1977), as these are by nature of indeterminate length. Do you have a view on whether the Regulations would apply to a Protected Tenancy? Some are asking why we are making an issue of this? First, because this is a blog about landlord and tenant law, so unsurprisingly this is the sort of thing we tend to get quite excited about. Second, if you don’t get things EXACTLY as prescribed by law, we know only too well that an army of advisors (including solicitors, the CAB, Local Authorities, Shelter and other charities etc.) are encouraging tenants to take advantage of every possible loophole or chink in the armour of an otherwise well-intentioned landlord, sometimes resulting in significant costs. It’s therefore unsurprising that we crawl all over ambiguous, ill-conceived, or otherwise poorly-drafted legislation. I think this makes it quite clear that they expect the test to be carried out on the first day of the tenancy. It goes on say that the first day of the tenancy is defined as the date stipulated in the tenancy agreement. The reason the date the tenancy starts is defined is because unless a tenancy is created by deed it starts when the tenant goes into possession. “checks are made on the day the tenancy begins to ensure that each alarm is in working order”? In the first case the emphasis is on ensuring that each alarm is working on the day the tenancy begins and in the second that the check is made on the day the tenancy begins. Where a new law is ambiguous and untested, I would rather err on the side of the supporting government guidelines. It’s worth remembering it could now possibly result in a corporate manslaughter charge if a tenant died in a house fire and there was doubt about whether the smoke detectors were working. Regarding the comment about agents working harder or employing more staff, as long as the landlords accept an increased charge for the additional service of covering the requirement to test on the same day then I don’t have a problem but, I suggest they (he) won’t.